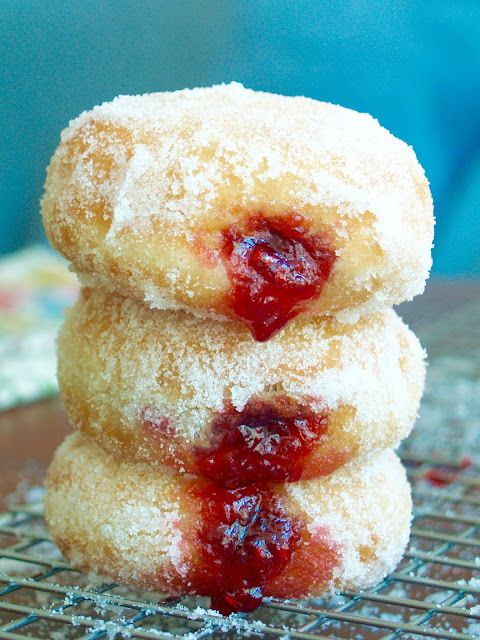 As we all learned from Parks and Rec, breakfast food is the best food.
. . . and I think we can all agree that filled donuts are the best kind of donuts (followed very closely by blueberry cake donuts). 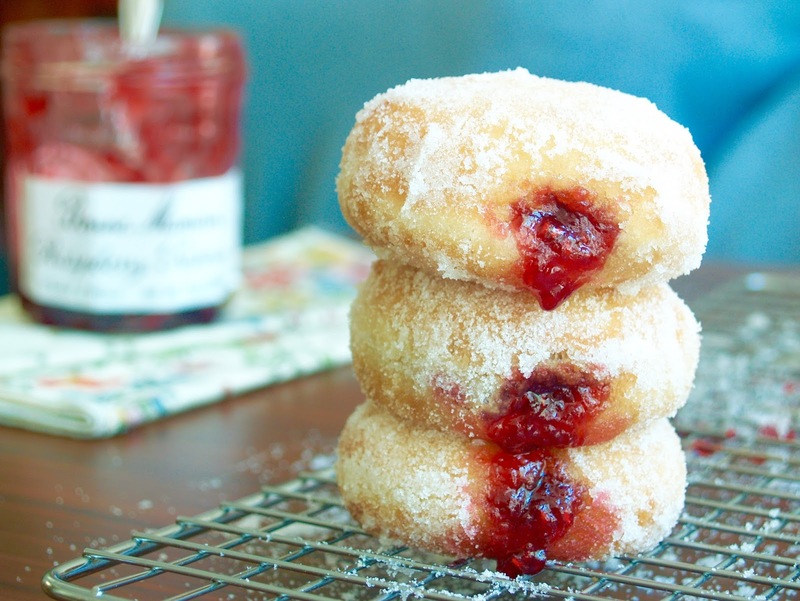 While a family favorite in our house is Boston Cream Donuts, this past weekend I decided to try jam-filled donuts. It was a good decision. 1. Combine warm water, yeast, and a pinch of sugar in the bowl of a stand mixer. Let the yeast activate for 5 minutes. 2. 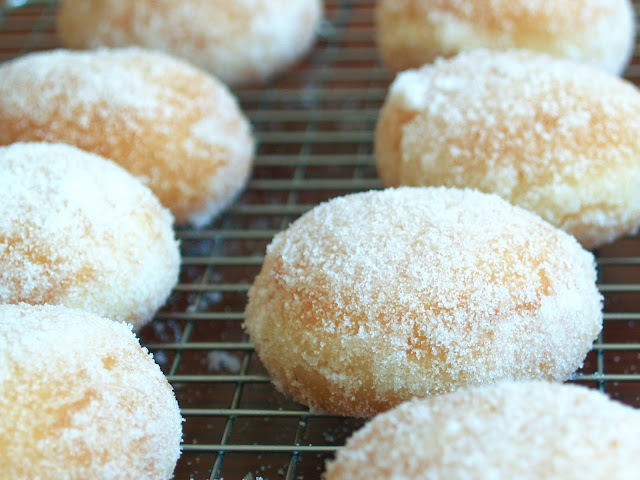 To the yeast, add warm milk, sugar, salt, egg, butter, and 1 cup flour. Stir to combine. Slowly add the remaining flour, until the dough is mixed. I always take out the dough to knead by hand for about 30 seconds to 1 minute to make sure the dough is smooth. Let rise in a covered, greased bowl in a warm place until doubled in size. 3. Cut a piece of parchment paper into 4" squares. Roll dough out on a floured surface until just over 1/2" thick. Cut into circles with a 2" cutter. 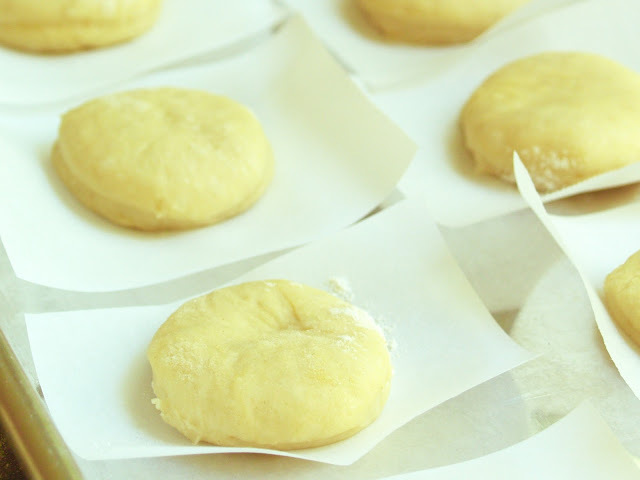 Sprinkle flour onto parchment square before placing each donut on a square. Let rise, covered, until nearly doubled. 4. Heat oil to 350 degrees fahrenheit in a heavy-bottomed pan or fryer. 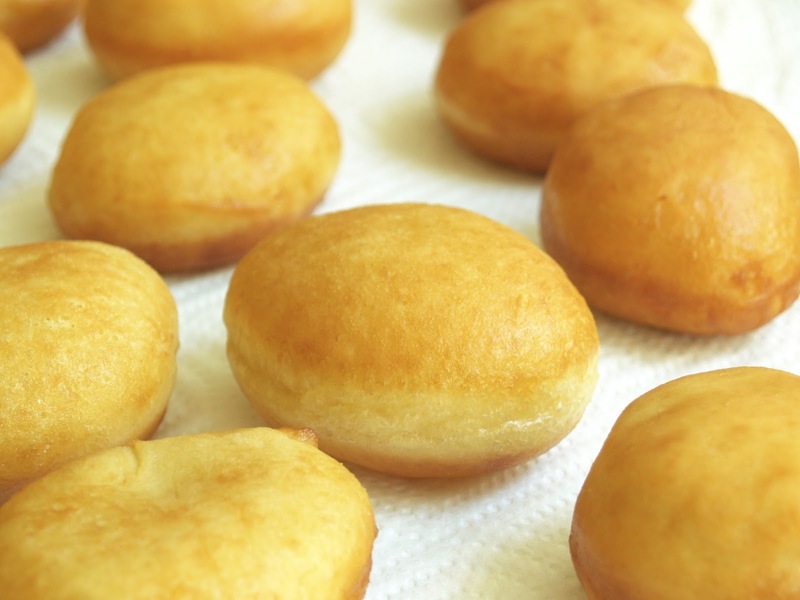 Fry 2-3 donuts at a time, 1-2 minutes on each side, until golden brown. Remove and let sit for 1-2 minutes on a paper-towel lined drying rack. 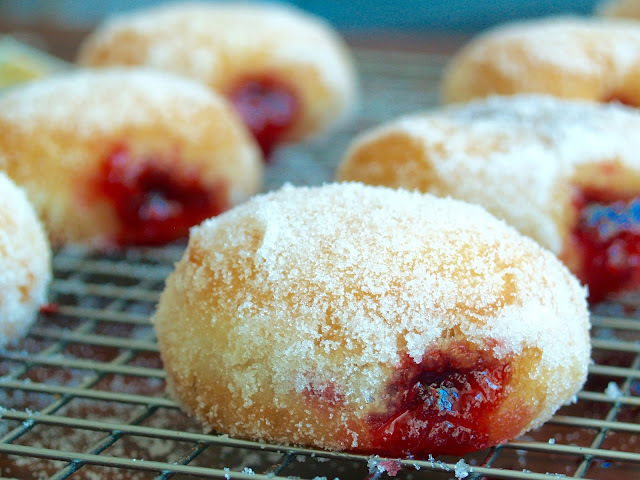 Then, throw the donuts around in a bag with sugar until coated. 5. 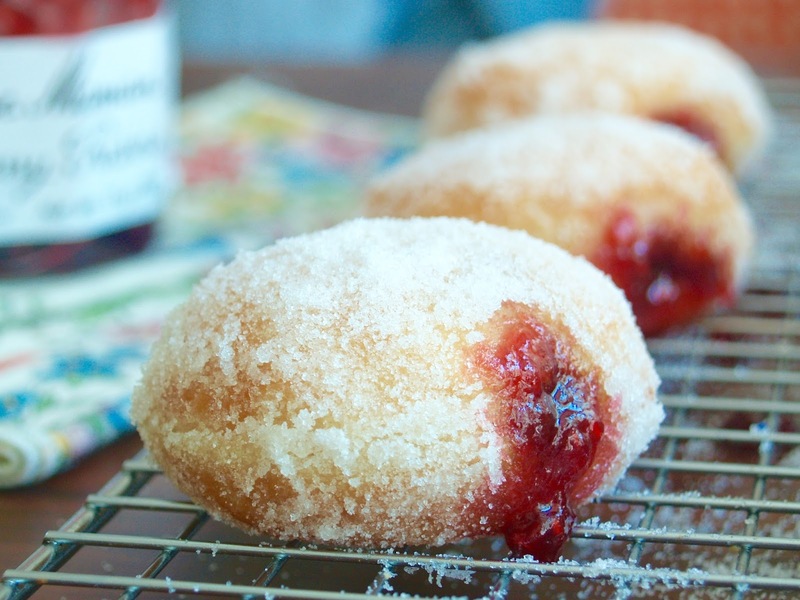 Put jam into a freezer bag with the corner cut off or decorating bag with a round tip. Use a chopstick to poke a hole in the side of each donut, then fill with jam.